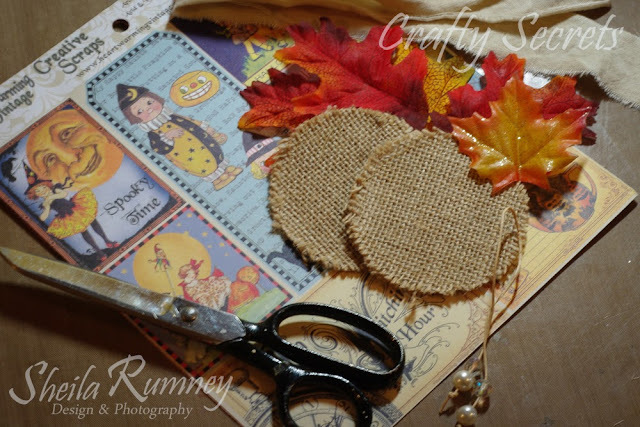 Today, I am joining the Crafty Secrets Design Team Challenge. 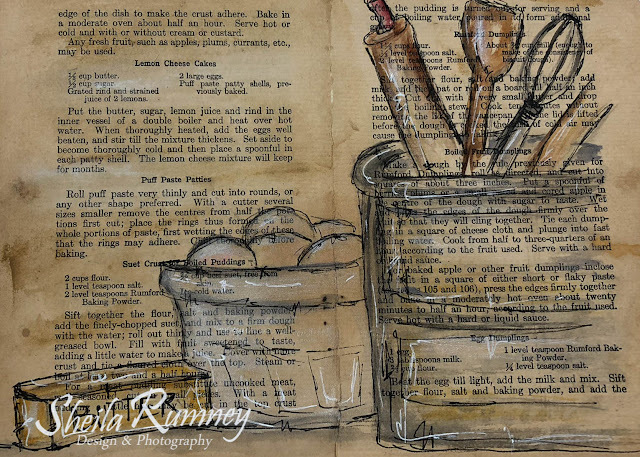 Each month we join together to share our artwork, won't you join us? You can find the information on the Heartwarming Vintage Blog. 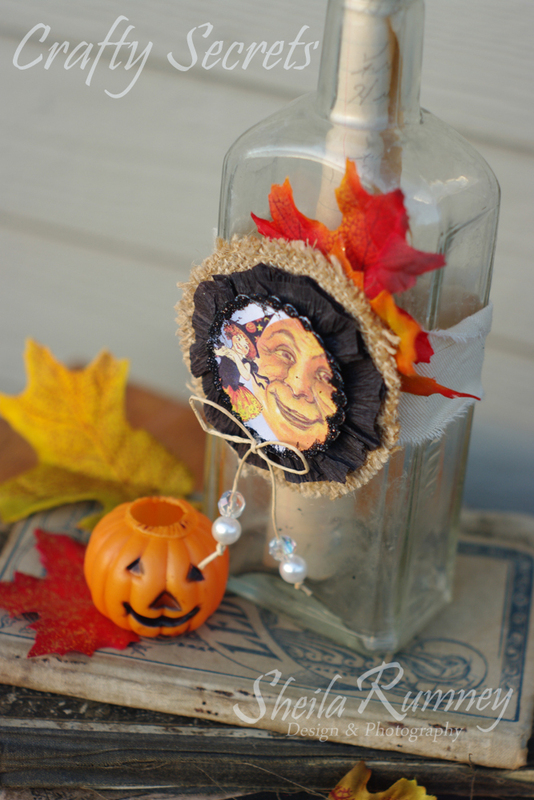 This month I will be sharing a easy and fun Halloween project. Use a scallop circle punch and cut out the desired image. Gather and glue the crepe paper to the back of the image. Add glue and glitter to the edge of the image. Glue the image to the burlap. Cut the desired length of the jewelry paper cord and string beads, knotting the ends to hold in place. Then tie a bow and glue into place. Tie a muslin or canvas strip around bottle and then glue leaves and then glue image piece to fabric. The great thing about this decoration is that once Halloween is over, untie it from the bottle and reuse the bottle again. Won't it be fun to use the same bottle but create different image medallions for each season? Wishing you a creative day, sweet friends. I love this, and I love the idea that you can take it off, pack it away for next year and use the bottle for something else in the mean time. My kind of decorating. Super Cute! What an awesome idea and it looks AMAZING (love your photo staging too)! What a versatile, clever creation ... thanks for sharing!! 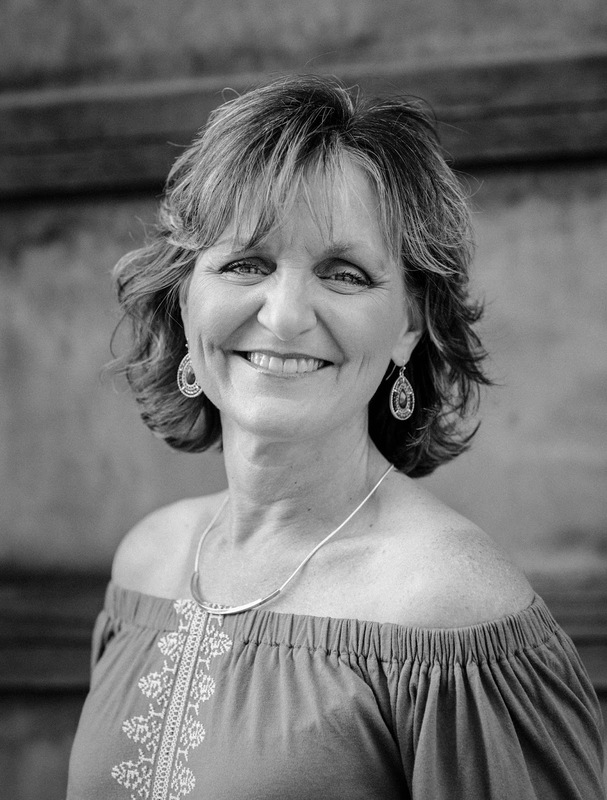 I love this idea, Sheila! So clever to make it so that you can switch it out for different seasons. Now that's using your noggin! You take the most beautiful photos! 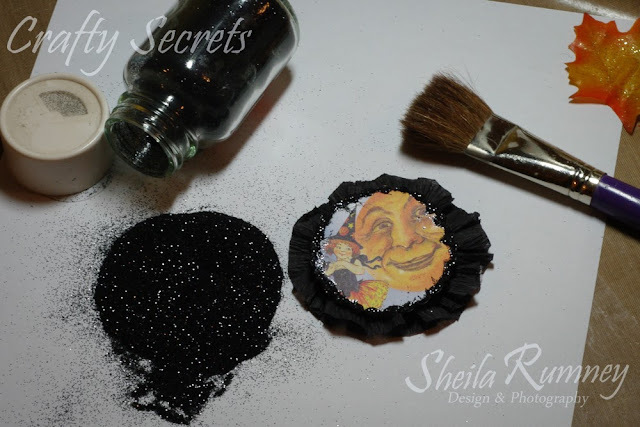 What a cute idea, Sheila! Hard to believe Fall and Halloween is right around the corner. Thanks for sharing your awesome idea! 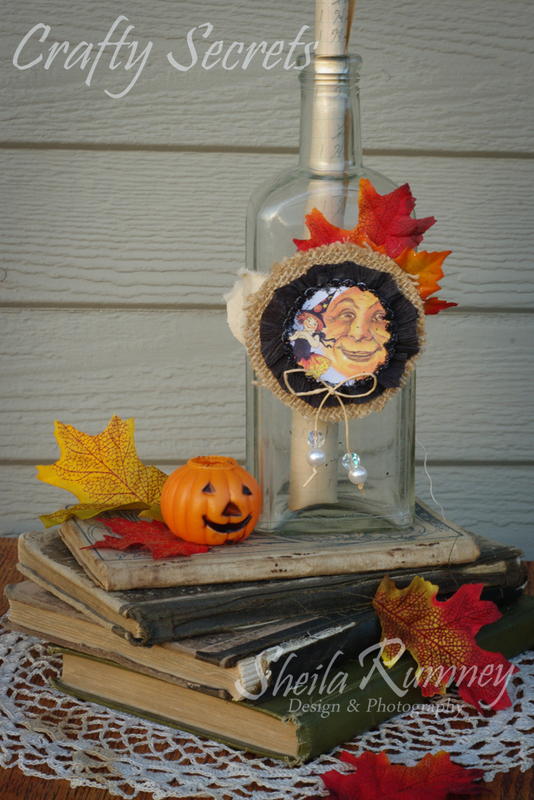 This altered bottle is adorable and love that you can change it out with different holidays and occasions. Thank you for the wonderful inspiration. I hope you have a beautifully blessed week. This is super cute altered bottle. I have a number of bottles on my kitchen counter..you know the usual balsamic vinegar, olive oil etc and you have inspired me to make Halloween tags to seasonalize them. Great idea. cute! I cant wait to get started on halloween crafting. but I have so many bear orders to complete first.. hopefully in a couple weeks I'll be able to play! Sheila your Halloween bottle is cute and I love the idea you can easily remove it or hang it on anything from some big candles, on a door knob, a treat bag, etc! Love, love, love this bottle! What a fun idea - I can't wait to try it out on an old bottle!